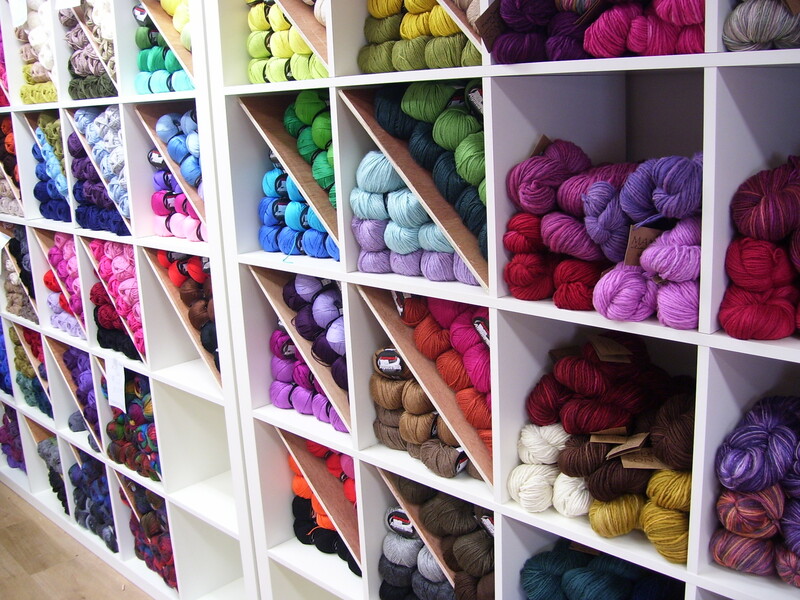 I’ve just spent the afternoon pricing yarn and stocking the shelves for Manchester’s new yarn shop, Purl City Yarns!! Located in Manchester’s Northern Quarter, Purl City Yarns will be opening its doors at 10am on Tuesday 12th October 2010 with loads of scrumptious yarns for you! Some of the yarns in the shop are Manos Del Uruguay, Artesano, Debbie Bliss, Mirasol, Louisa Harding, Noro, Araucania, Austermann, King Cole, Lang, Natural Dye Studio, Misti Alpaca and Schoppel Wolle. 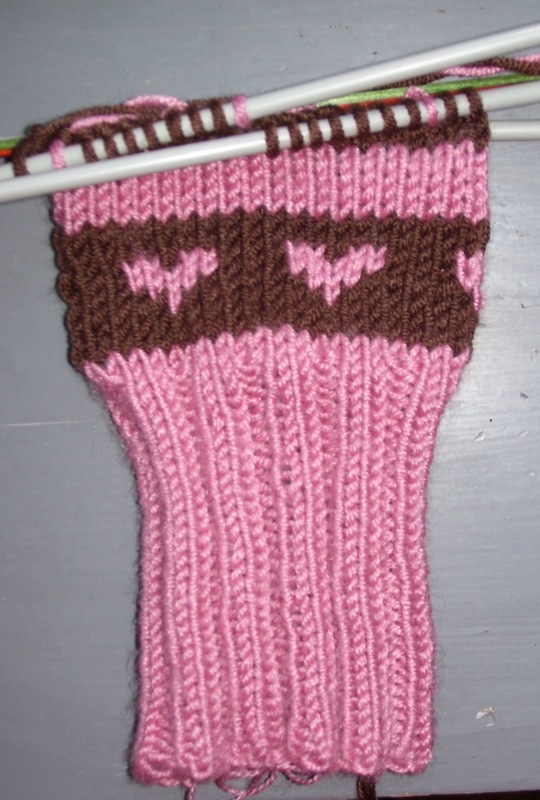 There will also be a selection of needles from Knit Pro and Brittany. I can also verify that there will be buttons! 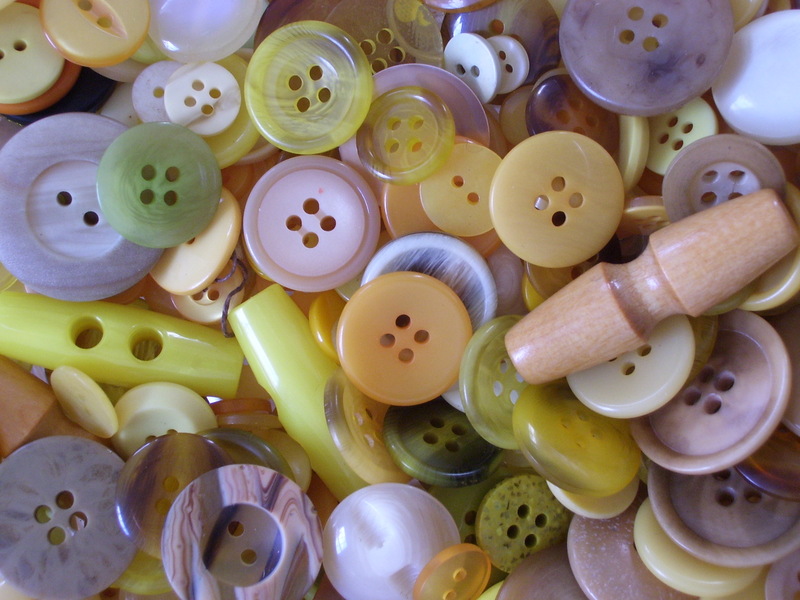 For those of you that love to rummage through old buttons, you will be very happy salmons because there are loads of them! To celebrate the opening of the shop, Purl City Yarns invites you to ‘Purl the City’ by knitting or crocheting a cityscape for the 2D woolly city that will be a permanent display in the shop’s very own gallery, The Purl Gallery. Your efforts will be rewarded with 10% off your first instore or online purchase. You won’t just find a woolly city in The Purl Gallery. 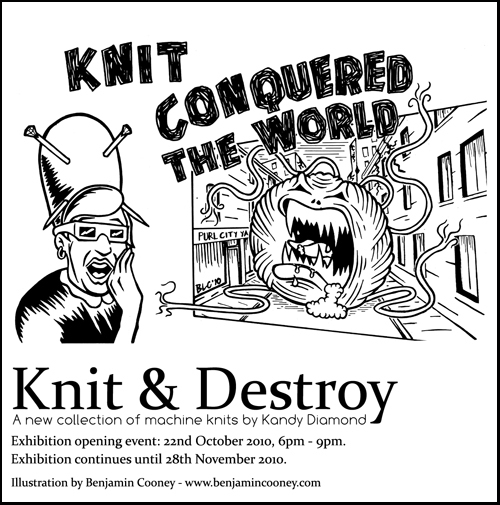 On 22nd October 2010, 6pm – 9pm, The Purl Gallery will open with Knit & Destroy, a new collection of machine knits by Kandy Diamond, which will continue until 28th November 2010. 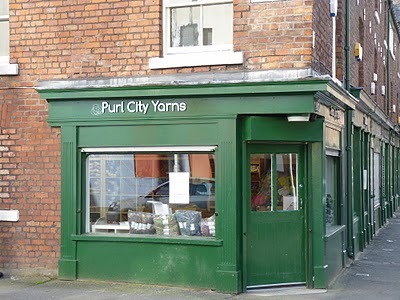 You can find Purl City Yarns at 62 Port Street, Manchester, M1 2EQ. 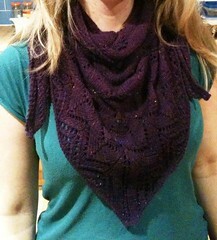 For more information go to Purl City Yarn’s website and blog and follow them on Twitter @purlcityyarns. I also suggest you sign-up for the Purl City Yarns Newsletter to stay updated on future promotions and events. Can you spot the difference in these two pictures? 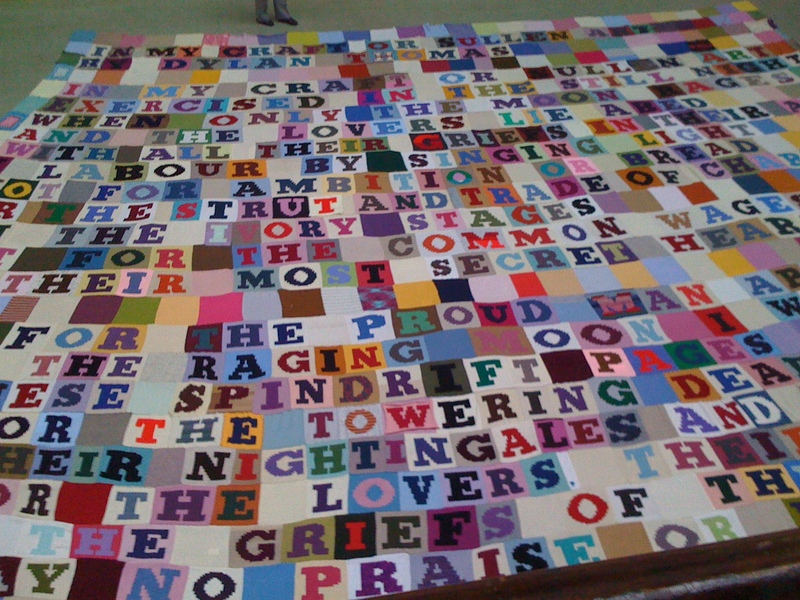 Admittedly, it’s hard to tell from the pictures and the colours are very similar, but it’s the letter ‘W’ in ‘Towering.’ Picture B has the letter I knit, which I saw in the reject pile at the Poetry Society’s Manchester viewing of the final knit poem. I understand that more letters than needed were probably allocated in case people dropped out etc. So, I would just like to start off by saying, thank you Poetry Society for wasting several hours of my life knitting that letter! This afternoon, while my friends were pointing out their knitted letters with pride, I got to point to my letter in the reject pile and say, there’s my letter. There was no pride in my voice, in case you’re wondering. 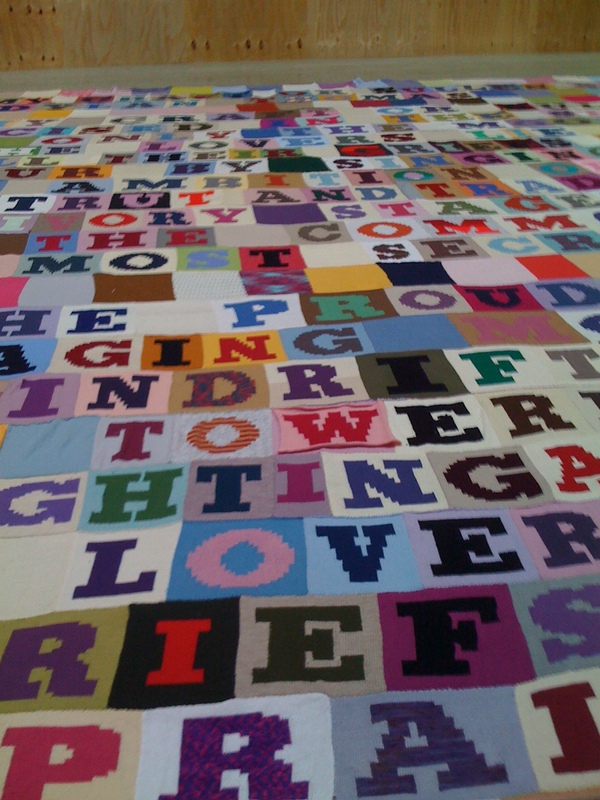 In fact, before I saw my letter in the reject pile, someone said, ‘The people who knit the letters over there must be gutted.’ That statement is correct. For this letter, Poetry Society, I couldn’t even use up yarn in my stash because I didn’t have 100% double-knit for your oh-so-strict 100% wool, intarsia only knitting project. 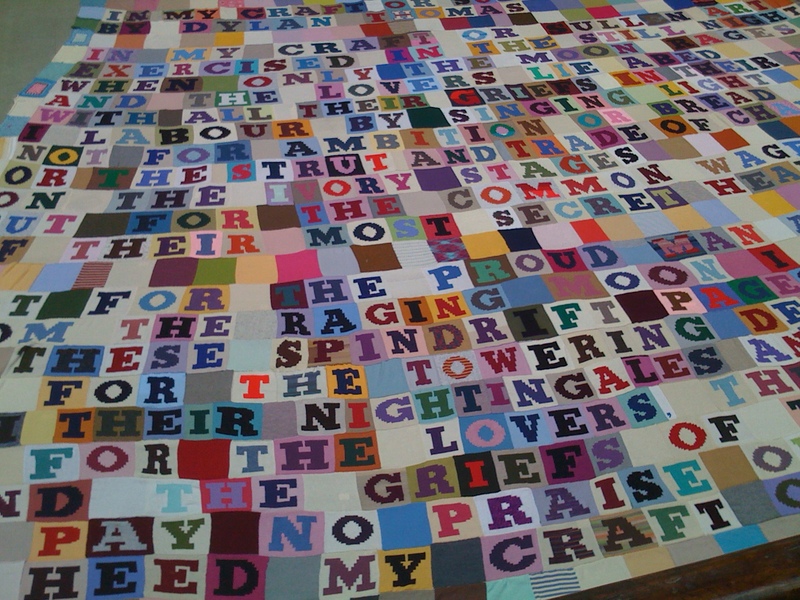 And, Poetry Society, I’ll be damned if that bright red ‘T’ in ‘The’ is 100% wool because it looks cheap and horrible, like 100% acrylic often does. There are also quite a few ‘N’s that were sewn on upside down and it looks ridiculous. Not that I’m bitter or anything. If I would have known my letter would end up in the reject pile, I would have at least asked for the letter ‘A’ so I could have taken it home with me today to dress as Hester Prynne for a costume party. Because after today, I will always choose novels over poetry. And that is why I now hate poetry. 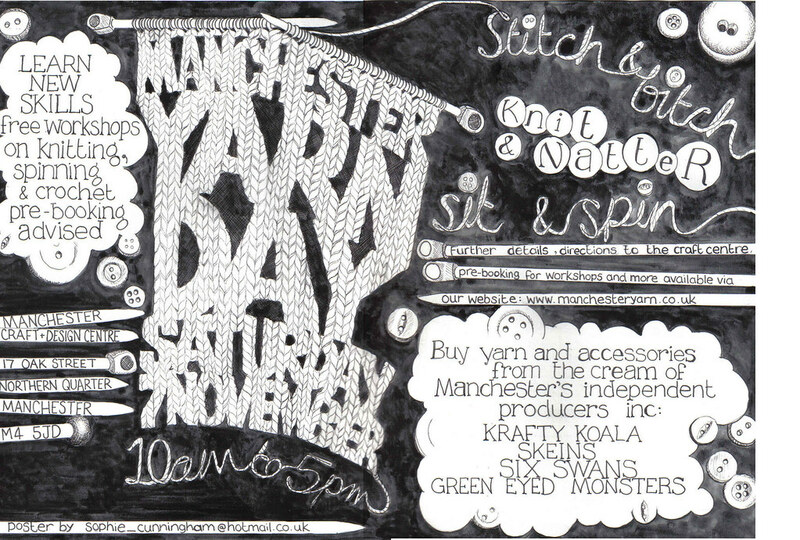 From 10am – 5pm on Saturday 7th November 2009, the Manchester Yarn Collective will be holding their first ever Yarn Day at the Manchester Craft & Design Centre (17 Oak St, Manchester, M4 5JD map). They are also holding various spinning, knitting and crochet workshops, so visit the Manchester Yarn Collective’s website for more info and to register for a workshop. As part of their Adult Learning Programme, the Urbis in Manchester holds different introductory craft lessons every fortnight. So, if you’ve wanted to dabble in a few different mediums, but don’t want to spend loads of time and money only to discover you don’t really like crocheting, then this is a great way to learn for £2.50. This Sunday the Handmade Social craft is sewing and embroidery for beginners and basic knowledge sewers. The end product of this lesson is a felt brooch. So far, I have been to three of the sessions and learned how to crochet a granny square, learned to screen print and made a bamboo lantern. I still have a long way to go with crocheting, but it’s good to have someone show you the basics and it’s a great way to spend a Sunday afternoon.